Unique Lego construction toys are known all over the world and are immensely popular among children and adults. It is a set of colorful cubes that are easily connected to each other. One can create various toy objects with them: buildings, vehicles, figures of people. Everything depends on the imagination and one’s desires. In our time, one can rarely be surprised by expensive toys, and construction toys for sale, made of the noble metal, are rarity too. Therefore, the Lego brick, made of 14K gold, deserves a special attention. From 1979 to 1981, Lego manufactured several gold bricks that were handed to the most conscientious employees, who worked at the main Lego factory in Germany for 25 years. The precious item weighs 26 grams, it has a length of 4 cm and a height of 2 cm. The content of pure gold in each brick is more than 50%. In 1980, one Italian Lego partner received a gold part, as a reward for the active work on the development of the Lego market in Italy. Years later, the employee's family put a precious reward up for sale. Gold Lego is a very rare item. It caused a great deal of stir at the auction, and the interest of collectors was particularly high. 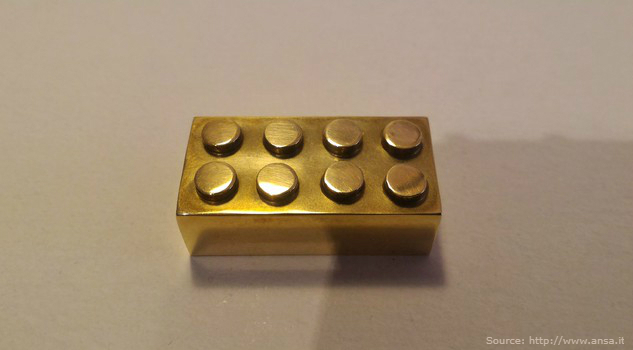 In the photo: a brick made of gold has the same size and shape as the original Lego part. 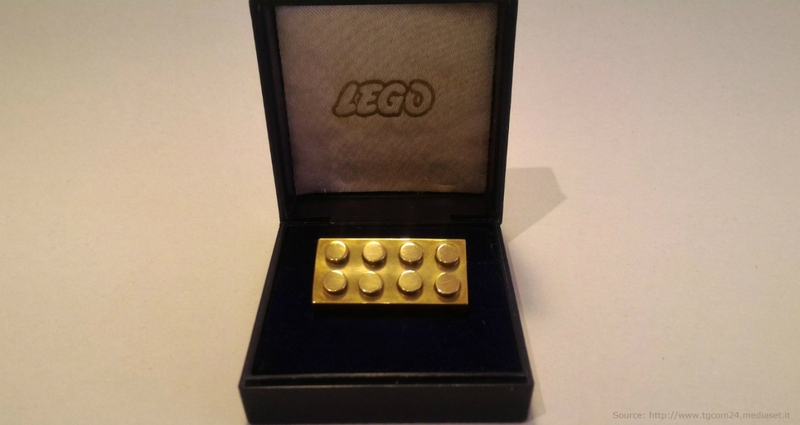 The Gold Lego was auctioned for $14,450, the price which reflects its high collectible value. John Hughbanks, the Head of the Lego fan site, considers this detail as "the most special item he has ever seen." In his opinion, the brick differs from others not just because it was made of gold. The main difference of the precious Lego item is that it was very difficult to earn it, because the employee had to work productively for the company for 25 years. Many people are concerned with the question: how to achieve financial stability and independence? Physical gold is a reliable asset that protects your money from depreciation and helps to increase personal capital. The goal of Global InterGold is to help each client to preserve and accumulate personal savings.